On my regular walks with our dog Buster I have to cross a stone fence. There’s a gap, and I know I’m not the only one who uses it; the path is well worn. Stone walls are just about every where around here since we border the rural and suburban areas west of Boston. Some of them are newer and kept up, especially since many of the stone walls here are “dry,” meaning they’re just stacked stones with nothing but gravity holding them together. 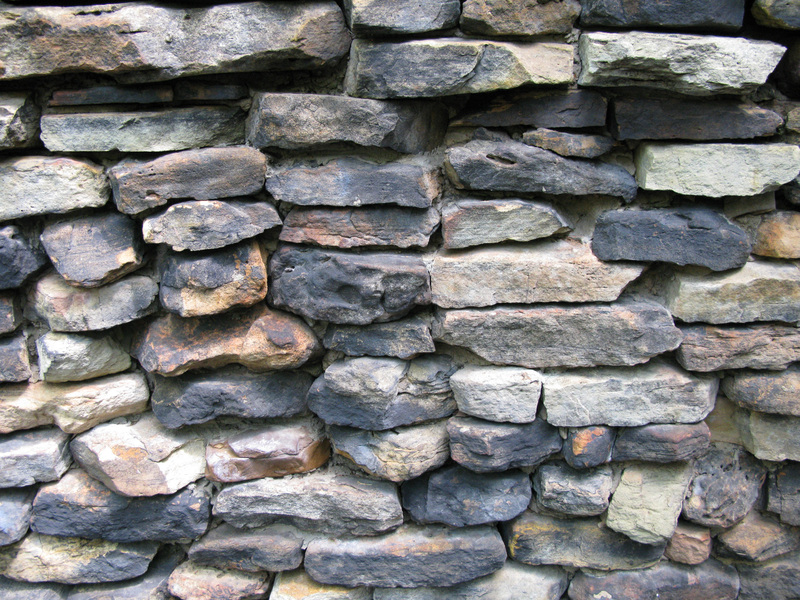 Stone walls figure into my sermon from Sunday. I suspect walking with Buster had them on my mind. You never know what will be fodder for a sermon. We’re at the end of James’ epistle—those eight verses we heard this morning closed out his letter to the faithful followers of Christ scattered around the region there in the Middle East. As a writer I know that conclusions can be a time to emphasize the point of the writing. Or the letters I used to get from my mom in college would end with sage advice like “Enjoy yourself!” and “Do your homework!” which supposedly were not the same thing. Sometimes letters end with heartfelt convictions, a desire to tell someone how you really feel. James does all of this and more. He wants to leave a parting shot, words to live by, the main thrust of his whole argument. And it’s about two things really. Prayer and community. That’s interesting to me since we in Western Christianity often think it comes down to two other things: belief and individual faith. If you believe the right things or the right way and have a personal faith then you are a model Christian these days. Yet James highlights prayer and connections to others. We live in New England. Prayer and community are things we know we shouldn’t talk about. One’s prayer life is more sacred a conversation than one’s political affiliation—see any “Pray Daily” lawn signs recently? Or how would it be if at coffee hour or upon seeing a fellow St. Mark’s parishioner at Kennedy’s you were asked, “How can I pray for you today?” We’d prefer they’d ask us about the Patriots or the weather. And we know all to well Robert Frost’s line that “Good fences make good neighbors” — how many miles of stone fences can you find here in the Northeast? (And let me remind you, in case you forgot from high school English, that Frost’s poem called “Mending Wall” centers on two neighbors meeting on civil terms to restore a barrier between them, a barrier one of them is not certain they need.) We like putting up and mending our walls in order to keep others out. We build decks on the back of our houses when our grandparents would rock on the large front porch. We find solace in the anonymity of the Internet where we can keep others at arm’s length. But not James. “Are you having a rough time of it?” he asks. Then pray. Got joy? Sing hymns and songs of praise! Are you sick? Call the church community and invite them into your house—don’t worry that it’s not picked up—and have them pray for you and anoint you with oil. Now some of you may call me up as a priest to have me come if things are bad, but would you consider inviting others from the church to swing by and pray for you when you’re running a fever or dealing with the flu as you lounge around in sweats? If it were me, I’d grab a shower, try to tidy up the house, get a few things together for a snack if I could. Or just politely decline. And then James talks about sin. Not just about sin in general, but confessing sins. And not confessing to thin air as you walk outside by yourself, but confessing to one another. Our sins. Out loud. Imagine the vulnerability that would take. Talk about wanting to keep the walls up that separate us. During my senior year of college I ran across a passage from Mark Twain in his autobiography about how he always preached in his humor, and that his humor, because he preached in it, would live forever, that is to say, about thirty years. He was comparing himself to other humorists who had gone before whom the world had forgotten; they were “mere humorists” who refused to preach. And then he concluded by writing this: “I am saying these vain things in this frank way because I am dead person speaking from the grave. Even I would be too modest to say them in life. I think we never become really and genuinely our entire and honest selves until we are dead— and not then until we have been dead years and years. People ought to start dead and then they would be honest so much earlier.” It was that last paragraph that stunned me. About people ought-ing to start dead. About how we aren’t our entire and honest selves in this life, in the present time. So let me speak as one from the dead, if you will. Let me get down to brass tacks and speak honestly to you. We love our fences too much. We like keeping people at a distance and our vulnerabilities to ourselves because we are Americans and we prize individuality and self-reliance above all else. Is it any wonder then that one of the thrusts of this campaign season is about government assistance and how to dole it out if at all? We hardly voice our sins to ourselves—we don’t even want to call our own failings “sin” anyway—because then it would mean admitting we screwed up. We wouldn’t dream of telling another person because we don’t trust them. We don’t trust that they could keep the confidentiality about what we said. We think it may come back to haunt us. Or that it would lower that person’s perception of us. And when we’re sick and the house gets cluttered and we haven’t bathed in a couple of days, we wouldn’t dream of asking someone to come in to spend time with us. What would they think if they saw that the kids had torn up the house, or that there were dishes stacked on the counter or that we were in our pajamas? In other words, we’re afraid. Afraid because we need to live up to some imagined expectation that we are all in competition with each other. So we keep people out unless things are perfect. And when things go wrong, we get isolated. It may trouble you that James equates sin and sickness in our text. We sort of know sin and sickness don’t go together, although I still get asked why bad things happen to good people. And I also know having two parents who had lung cancer that many people’s first question was “Did they smoke?” While not technically a “sin” it is something we can easily explain away and shake our heads over. We do the same if someone is overweight and has a heart attack—somehow thinking that they “deserved it,” which is a troubling thought all together. But I think the more important and relevant correlation between sin and sickness is that they isolate us. I see it at church. When someone stops attending, it’s because something difficult is going on. When things are good, and the kids are making straight As or we got the big promotion, we’re sitting in the pews. When someone’s hitting the bottle too much, or there’s a rough patch in our marriage or we’re dealing with a chronic health issue, we tend to stay away. And those of us left behind don’t know how to respond. We might ask a friend about someone or a family now missing, but then do nothing to follow up. “That’s too bad,” we might say on learning the news, and thank our lucky stars that it’s not us that is sick or experiencing difficulty with our teen. But we’re encouraged to reconnect. To reach out. Did you hear that invitation from James to go after those who’ve drifted away and bring them back? Because community is important. I’ve spent most of my time speaking about community and fences and trying to keep appearances up. I’ve not been avoiding prayer. I’ve left it as my parting shot, my sage advice to you. I think we live lives isolated from others because we are isolated from God. We don’t know how to pray or don’t make the time or don’t think it’s important. We feel safe doing it here with one another, but inviting God into our homes and our lives might seem more daunting than anything else. So our relationship with God is contained to a neat one-hour package on Sunday mornings. We have God all nice and fenced in. In Frost’s poem, the walls start crumbling on their own, because of the shifting ground, and the weather. We have to be intentional about mending the fences. When stones fall down, when there are cracks in our lives from the experiences and challenges we face, what might it look like to leave the gaps open, and to invite God in? What if we started each day with a simple invitation, “God, be with me today and guide me?” Or even, “Lord, have mercy on me?” How different would our lives be if we stopped three or even four times a day to give thanks, and pour out our hearts, and share our lives with the Holy One? If we began inviting God in through the holes in the stone walls of our lives, we might be more apt to inviting others in too. We might allow ourselves to be more vulnerable with those around us, and to begin praying for one another. Good fences do not make good neighbors. They only build distrust, and a false belief that we can handle it all on our own. A much fuller life can be given to us if we only realize that we cannot do it alone, that we need each another, and above all else we need God. Amen. Mark Twain, The Autobiography of Mark Twain. New York: First HarperPerrenial, 1990. Pgs. 358-359.